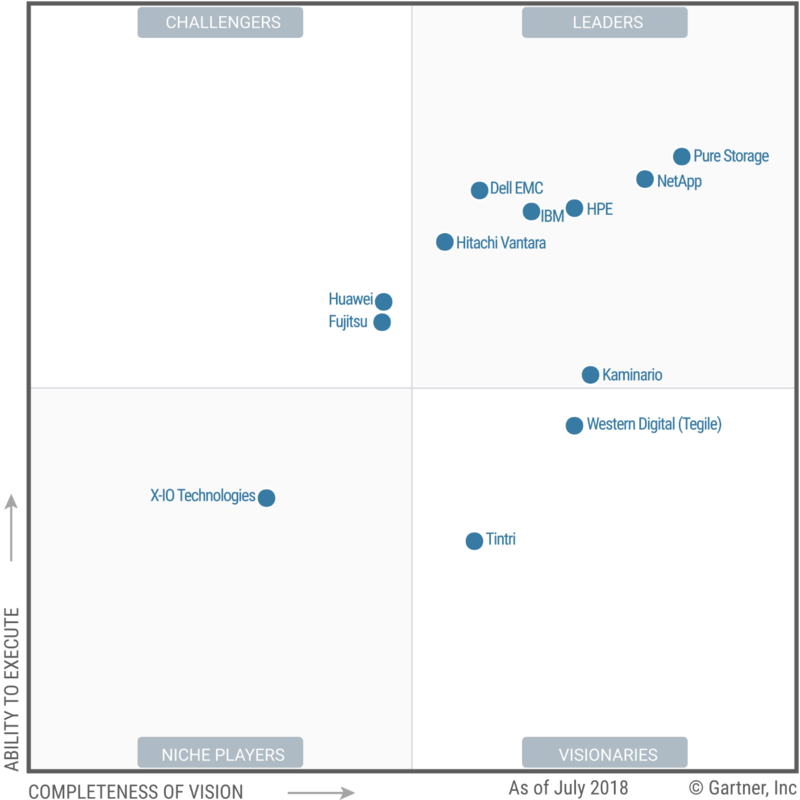 For the fifth year in a row, Gartner has named Storage a leader in the 2018 Magic Quadrant for Solid-State Arrays. This year, Pure is positioned highest and furthest to the right in BOTH vision and ability to execute axises. For more details, read the full report.